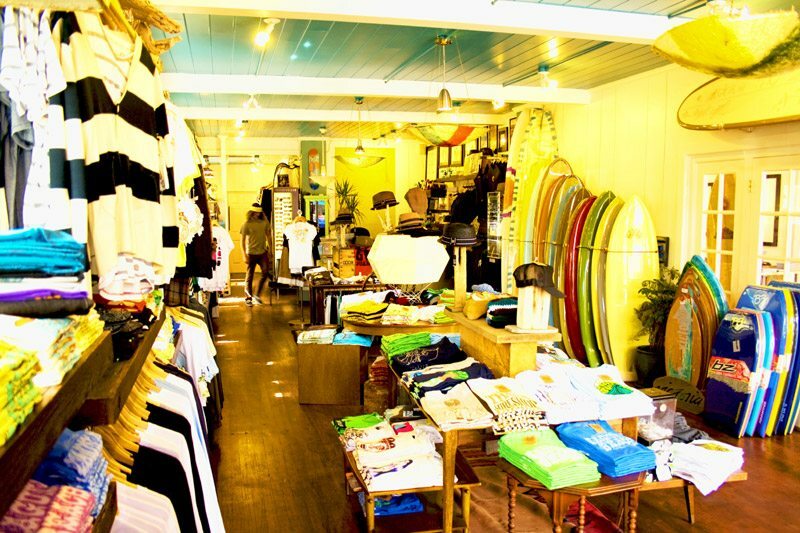 Small local surf shops are an essential part of our culture. These shops are the real deal; they stay small, they support the local surf scene, and most importantly, they are owned and run by people who love surfing. You can find these nuggets all over the world. Most of my favorites just happen to be in my home town of Laguna Beach. Walk a few blocks down Pacific Coast Highway and you will run into several surf shops with completely different surfboards and totally different vibes, but always run by people who love to surf. Thalia Surf Shop is one of those cool little hangouts. The first time I walked into the shop, I felt like I had entered a time machine and gone back to the golden days of single fin logs and wild colored resin pigments. Although a relatively small store, they carry a beautiful selection of boards by lesser known manufacturers. The kind of boards you almost don’t want to touch for fear of dinging the perfect glass job. However, you totally want to surf these gems. I cringe to use the word “Retro” in describing shops like these, but when you don’t see any standard thrusters on display, it’s hard not to use that catch phrase. So what’s really going on here? The collection at Thalia is a reflection of some of the most talented shapers, glassers and artists creating functional wave riding tools that are going to stretch your surfing in different directions. Plenty of surfers are going to be perfectly happy on their shortboard thrusters, and that’s cool. However, there will always be a segment of the surfing world that craves new shapes and fin set-ups. The recent finless craze supports the notion that sometimes we just gotta try new things! I mean, isn’t it hard enough to surf with fins? I picture guys like Chris Del Morro walking into a shop like Thalia Surf Shop and getting super stoked on the surfboard shapes, fin set-ups and artwork. I recently had the opportunity to interview the store manager, Josh Tully, and get his perspective on Thalia’s place in the local scene. Describe the surfer that is coming to Thalia Surf Shop to buy their next board. The typical surfer that is going to choose our shop to buy a new board is relatively open-minded when it comes to board selection. We carry boards for all aspects of surfing and wave riding. I think the buyer profile that we tap into is someone that has done their homework and has ridden all types of boards with all types of outlines. We don’t really try to limit our focus on any specific segment of the surfboard market; if anything, we sell what we like to ride. At Thalia we like to expand on new surfboard templates and fin setups while keeping it functional. You sell what you like to ride, so what do you like to ride? I ride boards anywhere from five and a half feet to ten feet. Not your “cookie cutter” shapes. It varies on boards, but since we just got out of summer I have been riding my nine foot nine inch Gato Heroi longboard, a five foot ten inch twin fish, six foot quad Speedialer and a six foot eight inch good karma egg. Also, can’t forget my Churchill fins passed down from my dad from the 70’s for bodysurfing. I grew up surfing all the breaks from San Clemente to San O. A lot of fun waves for different boards. Again, so many good waves that stretch along the coast down south. What’s a common mistake people make when buying a new board? The biggest mistake that people make when buying a new board is focusing too much on what style they want to become as a surfer and tend to lean towards a board that might be too progressive in performance from the size, outline, and fin setup. I always ask people what beaches they surf. Do you surf point waves, beach break, reef breaks? The bigger surfboard companies provide a lot of advertising support, but I don’t see those brands in your shop. Big named surfboard manufacturers have done a good job marketing their brand to today’s surf culture. Don’t get me wrong they have all the skill in the world behind design and performance, but they are just pumped out to quick for us when it comes to our shop. So what are the top selling brands at Thalia Street? The best sellers would have to be Campbell Brothers Surfboards, Rainbow Surfboards, Regular Surfboards and Kookbox Surfboards. The price ranges for boards are $550 – $1000. What advice would you offer a surfer that is still a beginner, but wants to start taking their surfing to the next level? A surfer with limited experience that wants to try new boards should be looking for functionality. Don’t start with anything too progressive, but something that they can grow into. The board should match the beak that they typically surf. What are typical questions that you ask your buyers? What types of breaks do you normally surf? How much do you weigh? What style of board catches your eye? Fish, mid-length, longboard? Then try to determine if a Quad fin, single fin or a thruster works best for the kind of surfing they are progressing towards. What are the current trends in surfboard design? Boards are going back to traditional outlines, but with current rail and bottom contours. Fin design is always progressing and so is the placement on the board. We don’t get anything too progressive here in the shop. We typically support “backyard” shapers who are pushing the hand shaped surfboard scene. Ha, well, I will always push polyurethane because I’m a bit of a traditionalist when it comes to surfboard construction. I know that epoxy can be lighter and more durable, but I feel that the polyurethane boards have more response and flex which is what I prefer. Yes, I hope that people can look at a surfboard as handmade art. I have a lot of friends and family that shape and glass surfboards. The time and effort it takes for the shapers and glassers to arrive at the finished product is truly to be looked at with respect. I always encourage people looking at surfboards to try new things. Don’t be the guy that sticks to the same dimensions and shaper, push your surfing and open your mind! Dave Christensen is a surfer/musician/artist based out of Laguna Beach, California. The guys at Thalia work directly with the shapers. I’m sure they can make anything you want. You can also contact a shaper directly. Check out my part 2 article on this website called “Buying a new board? Support your local shaper”. Thanks for your kind words. Thanks for the post! The interview you had was awesome, it pretty much answered all my questions about surfboards. I was wondering though, can someone purchase a custom-designed surfboard there? It’s so cool to see people supporting core shops! Writing killer articles like this are great hype as well since many could be missed just while blinking unlike the mega “surf shops” that more resemble Home Depot. A few favorites- T.Patterson’s in San Clemente. Rockin’ Fig’s Surf Headquarters in Huntington Beach, and Bud Llamas’s new 17th St. Board Shop in H.B. More Waves offers major discounts from $50-$375 to those that purchase a wetsuit or any board from most core shops. If we’ve somehow missed any, we’ll honor it! your info is helpful as I’m looking to get a board for the 1st time and prefer the idea of something ‘homemade’. Fortunately there are loads of shapers around here, so now I’ve just gotta choose one. good little ditty here. i have always heard great things about this shop. if i get west this winter, i will stop in.